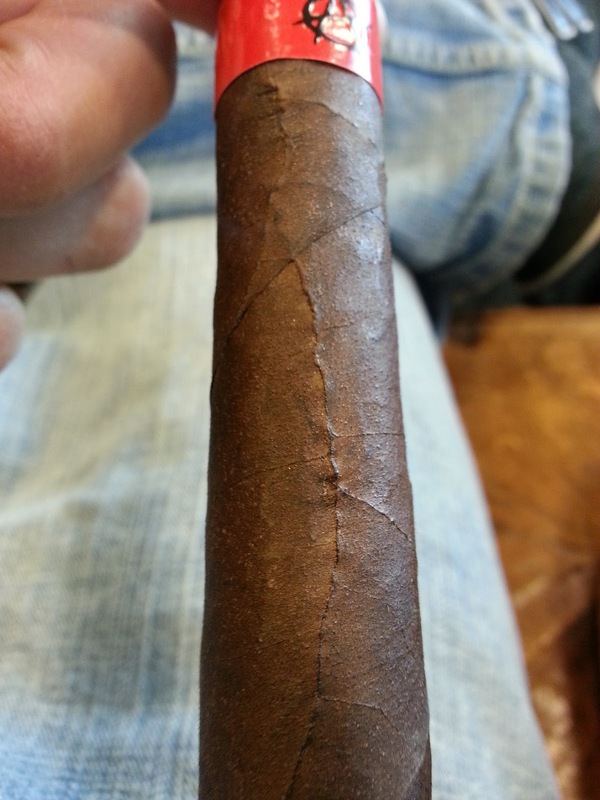 Appearance (0-20): What a beautiful cigar that Tatuaje has produced. Visually there are a bunch of things to take note of. The wrapper itself is a deep brown color, oily, and very grainy. There is a decent sized vein down one side of the wrapper, which is the only noticeable flaw. The figurado shape is eye catching, along with both the foot and cap. The foot is sliced off perfectly, and the cap comes to a tight pigtail wrapped up. There is a decent sized vein down one side of the wrapper, which is the only noticeable flaw. 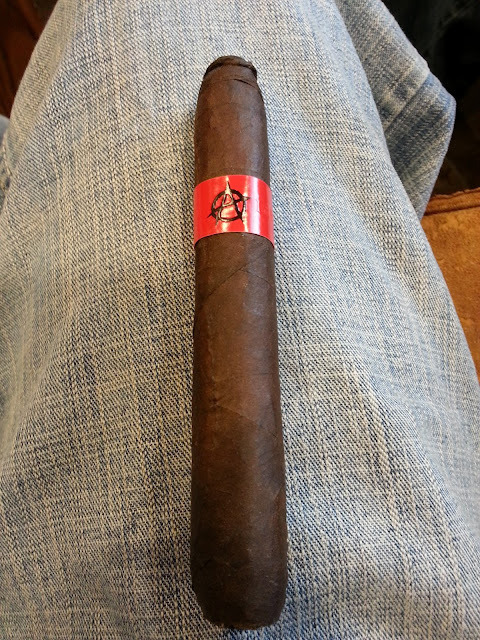 The band is fairly simple with the offset red and black colors, the "anarchy"symbol, and a very faint Tatuaje embossing. Construction (0-20): After clipping the pigtail and lighting up, the draw is very smooth. There are no issues with clogging, or cigar rolling issues. The large vein on the side played no part in the smoking experience. While the ash was somewhat flaky at certain points, it did hold together well. The grainy wrapper transitioned over to the ash, leaving a beautiful white speckled color. Strength (0-20): Sitting right around the medium-full range, the smoke was blended very well. There is a good amount of strength and flavor to be quite enjoyable and well balanced. Flavor (0-20): If you don't enjoy spice and pepper, don't purchase this cigar. Lucky for me, I love a spicy smoke from time to time. Upon lighting up, you really get a nice red pepper blast that lasts about an inch. From start to finish, the red pepper stays present to a lesser extent, but still present. There are some underlying notes of a rich coffee flavor, with a subtle sweet fruit note. 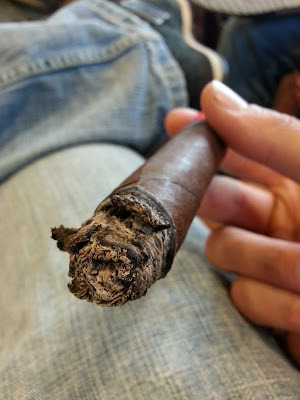 The flavors were super rich, and somewhat comparable to the Liga Privada Unico line. If that is something that you enjoy, I would look to grab some of these. Value (0-20): For $9, I think the cigar is fairly priced. 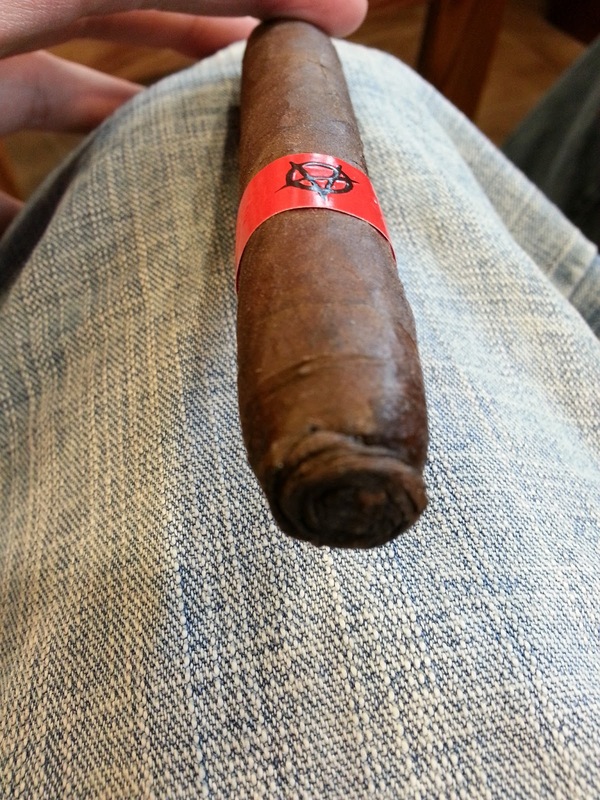 I really enjoyed the flavor profile and shape of the smoke, and would gladly look for a 5 pack to throw in my humidor.